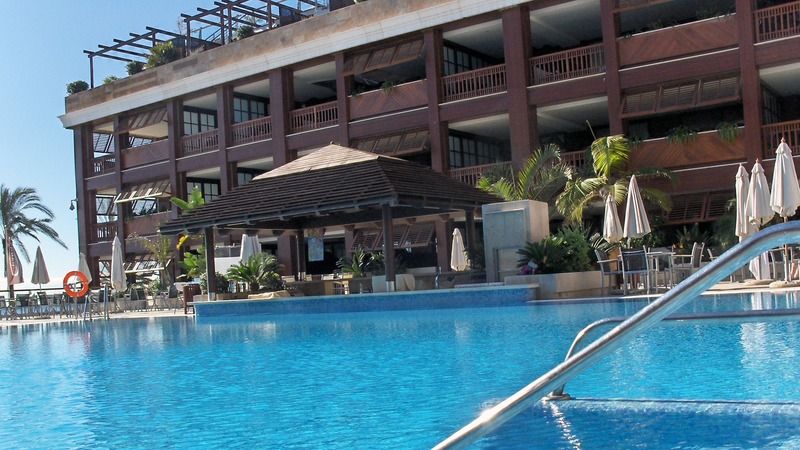 The Gran Hotel Guadalpin Banus is characterized by its splendid gastronomy that is offered in restaurants as well as in bars. 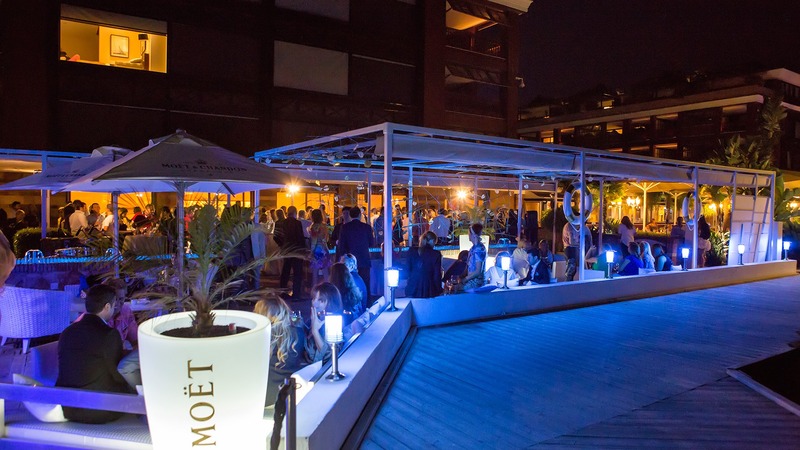 Enjoy a pleasant evening on one of our terraces overlooking the Mediterranean Sea and discover the best of the Mediterranean cuisine dishes or enjoy sipping one of our many refreshing cocktails in an elegant and relaxed atmosphere. We are convinced that our varied gastronomic offer will fulfil your expectations of fun and satisfaction you expect from your stay with us. Buffet breakfast available with show cooking .Our breakfast has a wide range of products where you will find local and dietetic specialties, seasonal fruits, selected pastry, cava, cold cuts. 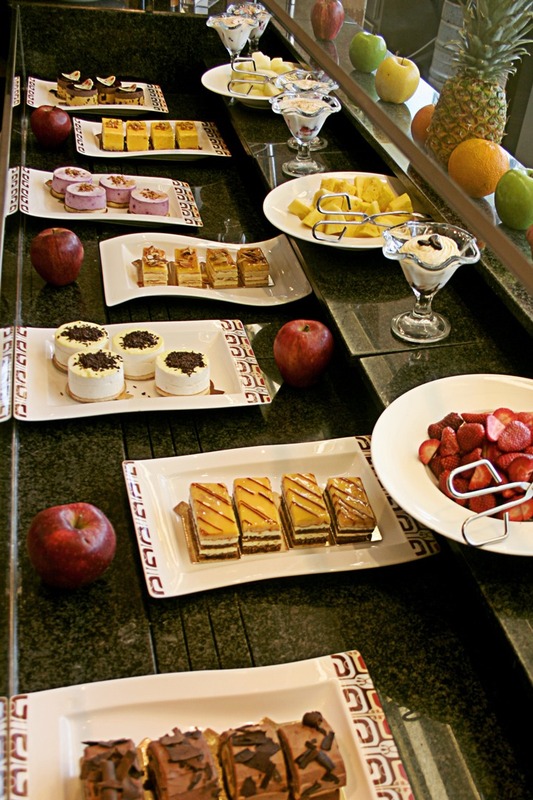 Our extensive breakfast will be an excellent proposal that we are sure will provide you an unbeatable start of your day. Breakfast service is offered at Lorea restaurant and its magnificent terrace by the sea. This is located in the hotel's ground floor and signed posted in the lifts. Breakfast service is from 8 am to 11 am during the whole year. If you wish, you may have breakfast in your room. Week days from 7 am to 11 am and weekends and holidays from 7 am to midday. In both cases, this service will have a supplement of 4 euros per person that will be charged to your account. For more information, please check our Room Service menu or ask at reception. If you need to leave the hotel before breakfast service starts, you can have an Express Breakfast. You will find this service in the reception, next to the Sofía café, where you will be able to have coffee and pastries without any additional cost. This service is from 4 am to 8 am. Our Half board package includes a menu with a wide range of possibilities. We daily update our menu depending on the market giving this way variety and freshness to our proposal. The most important characteristic of this service is the product. 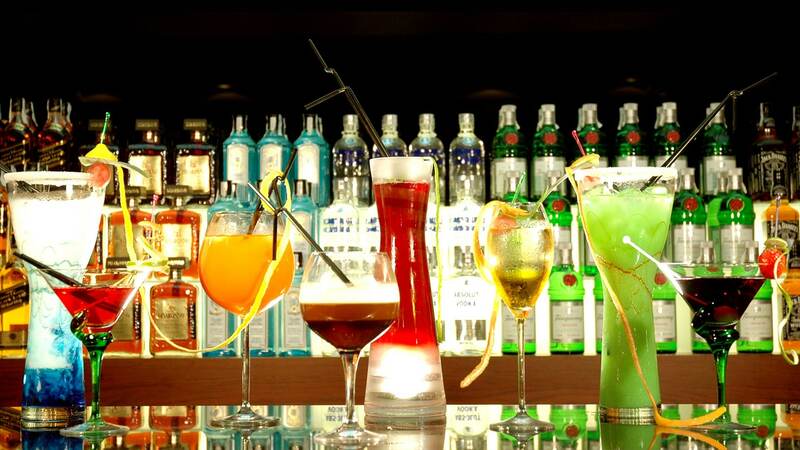 Therefore, in the menus, you will always find those seasonal varieties and delicacies. The HALF BOARD menu package includes a starter, a main course and a dessert which you will be able to choose among 4 options. If you wish, you can hire this service or ask for more information in our reception. The HALF BOARD service is only available for dinner. The serving place is in our Abanda restaurant or Lorea's terrace, depending of the season and on the feasting services we might be giving. At lunch time we offer you our menu service. It is composed by a wide variety of snacks, wraps, sandwiches and hamburgers and completed with a delicious selection of rice and pasta, salads and daily fresh fish and meat. 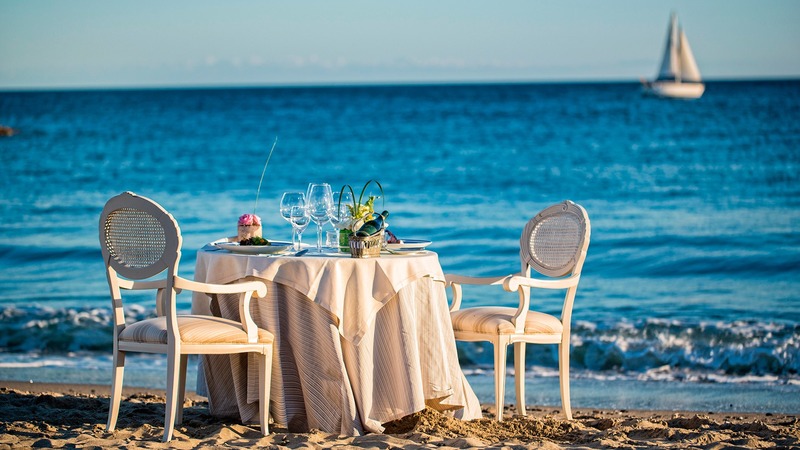 Our goal is to offer a fresh and Mediterranean proposal. Á La Carte Service is available in the Pool Bar by the swimming pool, in our Beach Bar (Moët & Chandon Beach Lounge) and in our restaurants. This service is offered from 1 pm to 4 pm during the whole year. 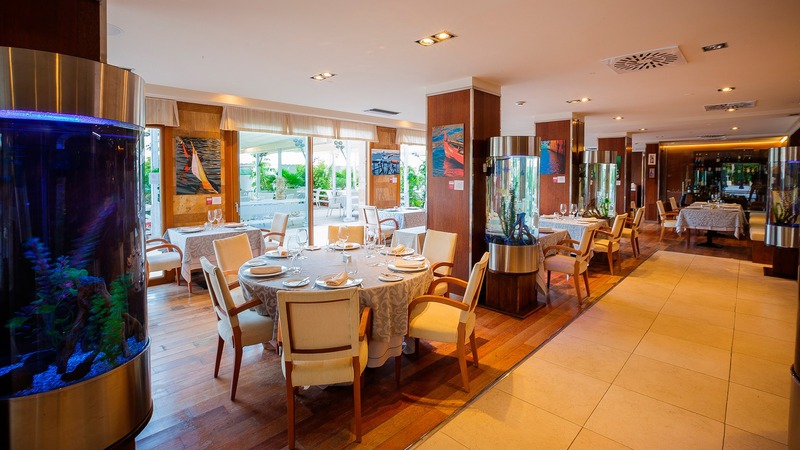 In Lorea Restaurant and its splendid terrace by the sea you will find our BRASERÍE, where we offer you the most renowned meats such as Black Angus, Ternera Rubia Gallega/ Blonde Galician Beef, Wagyu Ox, etc. 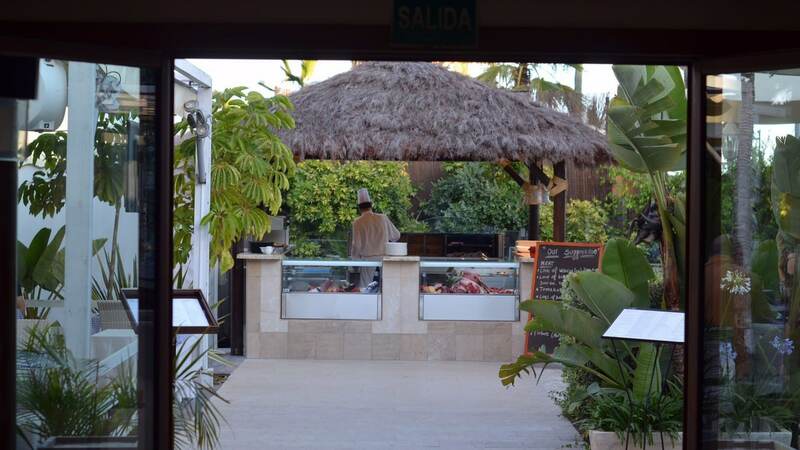 We also have the best fish and seafood of the day which will be prepared for you in our wood-burning grill. A great restaurant where the product, treated with care and professionalism, is the protagonist. 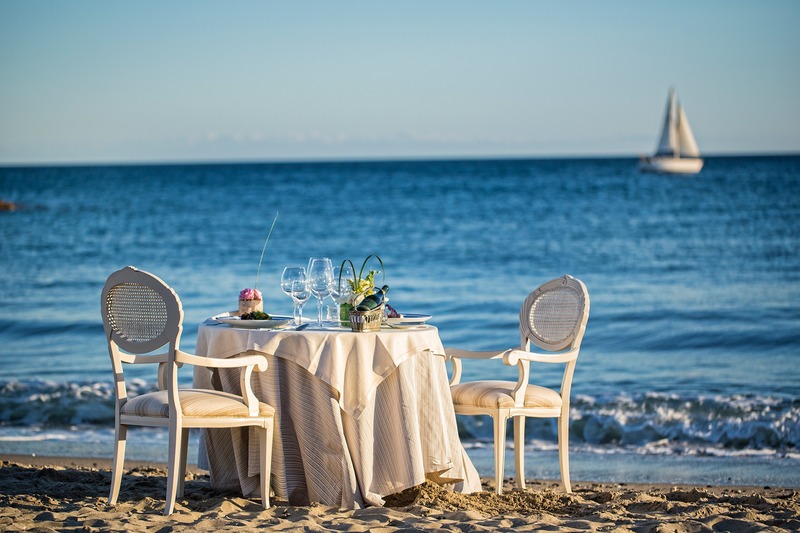 On the other hand, we offer you our magnificent Trattoria Il Mare, where you will be able to taste the best Italian specialties cooked by our kitchen staff. Fresh pasta meals, Italian cold cuts, pizzas, etc. all of it carefully prepared and served in a pleasant and relaxing atmosphere so you can enjoy the best of the Mediterranean gastronomy. Dinners are served in both restaurants from 7 pm to 11 pm. Enjoy meals and appetizers, healthy and delicious at any time of the day or night. We offer you the possibility to enjoy our magnificent restoration in the unique and unbeatable location that is the terraces of our rooms. You will find the Room Service Menu in the folder in your desk. Get in contact with Room Service (EXT. 4) to make your order. If you wish, we also offer you our Feast Service in your room. Surprise parties, anniversaries, marriage proposals... we will be pleased to be your accomplice in any celebration you may have. For more information, please ask in our reception for the Feast Service. Every room and suite has a well provided and conveniently located minibar. Every consumption will be directly charged to your hotel's account. Please contact our reception for more information.